Welcome to the eVisit Analyst! My name is Jason and I'm a web analytics expert. In a nutshell, I help companies make more money by optimizing their website visitors' experience. I analyze data and come up with solutions that boost your company profits. Guaranteed! Know where people come from. Identify new customers and potential business partners. Find out how much time people spend on your website, and what they are doing there. Boost sales using an advanced A/B testing process, which uses dozens of different parameters. Get reports that can be plugged straight into Excel. And yes, they use Excel's pivot table. Data analysis has been around for quite some time now. And yet, few people understood its value until a few years ago. Nowadays, big companies have learned that a skilled data analyst can increase their profits by 20% or 30% by simply looking at their Google analytics account and suggesting a few easy to implement changes. My job is to mine huge amounts of data, and then analyze the results using statistical tools. Often times, the process helps me identify new opportunities, which can then be translated to actionable advice that leads to a significant increase in sales. Of course, my data reports need to be formulated in a way that is easy to understand by managers who may not be trained in this industry. Most managers are familiar (and quite proficient) with Excel, so it is a good idea to create your reports using it. Still, for large datasets (over 300,000 records or so) Excel may not be the best solution, because its speed isn't that great. There are some tips that can boost Excel's speed a little bit, but some of them won't be efficient in same cases. There are many commercial applications that can run much faster than Excel, but they are quite expensive. To give you an example, R costs $10,000 per year for its server license, which offers the full set of features and allows unlimited users. By purchasing R Studio Server Pro, you will get the option of accessing the application anywhere you are, using a standard browser. Having the ability of running several data analysis processes at the same time is another killer R Studio feature. So, I would say that R Studio may be expensive, but it's a life saver for people who work as data analysts. But what should you do if you're just starting this career and lack the needed funds? The good news is that there are several decent stats applications which are free to use, even though they lack the power and flexibility of the paid tools. 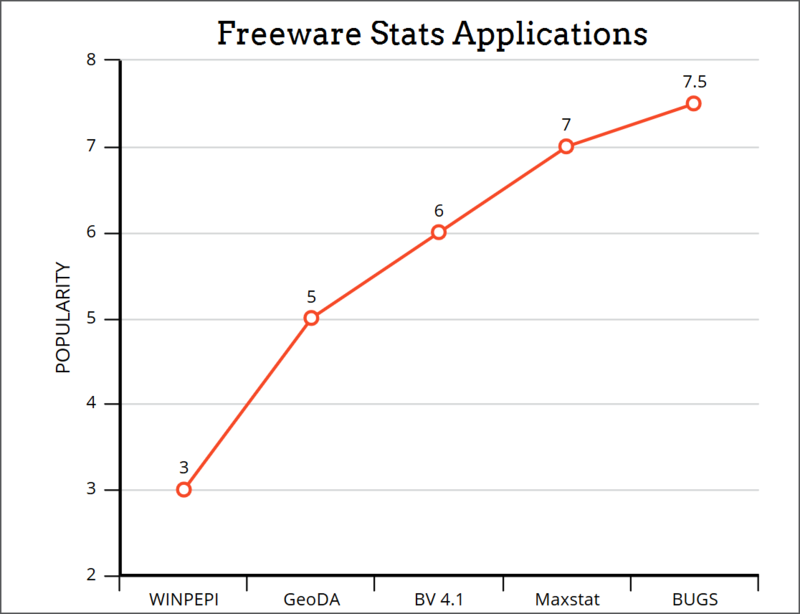 Here are the top five freeware stats applications, according to Data Alliance. To become a data analyst, you need to be a hard-working person who isn't afraid of staring at a computer screen all day long. So being an introvert like myself is (once again) very helpful. Still, creativity is probably the most important skill; you need to understand the problems that are highlighted by the software, and then come up with creative solutions that fix them. As you analyze data, you will have to be able to understand it, and then figure out what are the main trends. Since statistics is a big part of this job's description, you need to know your math. I didn't like math at all while I was in college, so I had to learn stats afterwards. Trust me, it wasn't pretty! So, if you are a student who plans to have a career as a data analyst, it's time to start loving math. Why should you work as a data analyst? Because this is a great job for an introvert, and the pay is good. An entry-level data analyst makes about $50,000 per year. As you grow your skill set, salaries increase quite fast, reaching about $80,000 per year. Or, you could choose the freelance route, which is much more exciting, but doesn't guarantee a fixed income level. Still, I wouldn't ever trade what I do for a 9-to-5 job. It looks like everyone is writing a guide to CRO these days! And they're all pretty much the same. Most of them have the same problem, though: they use advanced jargon, leaving their readers confused. This guide is going to be different. Read it carefully and I guarantee that you will learn at least a few key CRO concepts. Let's clear the fog! CRO has a single goal: to grow the number of website visitors who perform the desired action. The action could be a product purchase, a form submission, a subscription to a monthly service, and so on. The conversion rate can be calculated by dividing the number of visitors who complete the desired goal with the total number of visitors. In other words, if your website receives 100 visitors per day, and 10 visitors purchase one of your products, the conversion rate will be 10/100 = 10%. That's known as a conversion rate "by sessions". Of course, some of your visitors will not purchase any products or services at their first website visit. Some people will want to learn more about your company before spending their money, so they may visit your website more than once. Then, after they become your customers, they may return for another purchase. This means that if a particular person has visited the site without purchasing anything, but then he or she has returned, making a purchase, the conversion rate for that particular visitor is 1 order / 2 website visits = 50%. Conversion rate optimization provides several benefits that cannot be ignored. Here are just three of them. 1. Increased profits. Higher conversion rates lead to more orders, which lead to bigger profits. And all of this happens without investing more money in traffic producing activities - you're just making a better usage of the already existing visitors! 2. Better customer insight. CRO will help you understand the behavior of your website visitors, allowing you to tweak your message in a way that serves their needs. Basically, you get to improve your site, making the clients like you and trust you more, and thus purchase more from you. 3. Better user experience. Yes, conversion rate optimization also takes your visitors' experience into account. We want them to open their wallets, but we want them to do that with a cheerful mood. You want at least some of your visitors to promote your brand because it is great - and do it for free! 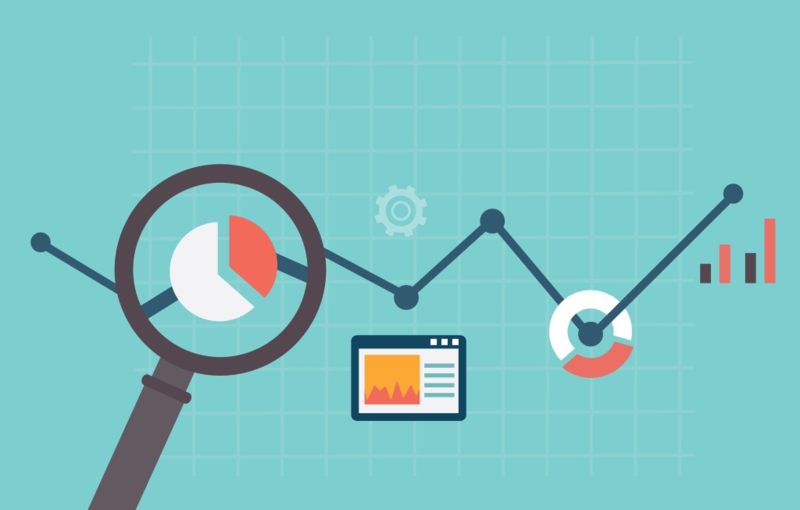 If you are just getting started with CRO, Google Analytics can be a decent source of data. Here is a detailed tutorial for beginners to data analysis. Begin by identifying the top landing pages, the most read pages, the type of devices they use, the exit pages (the pages where they choose to leave your site), their demographics, and so on. Then, focus your efforts on the pages that channel most of your clients. Don't waste your precious time trying to optimize a page that hasn't received a single visit in months. You should take care of those pages as well, of course, but only after you've optimized the top traffic drivers. In the end, CRO is a game of balance and compromise. You can't optimize your website for hundreds of different client profiles, no matter how hard you try. The solution is to optimize your funnels for the ideal customer, the person type (aka persona) that's precious for you, because he or she spends the largest amount of money on your site and/or is an excellent brand advocate. Many people focus on Google traffic, and there's nothing wrong with that. But what would happen if Google would shut down its data centers one day? Okay, this may not happen anytime soon, but what if a different search engine, such as DuckDuckGo (which has a unique set of features, btw) will take the search engines' crown next year? How would your website traffic be affected under these circumstances? 1. Number of website visits. What sites send you the biggest number of visitors? And what you can do to make them send even more people to your website? A good idea is to create a good business relationship with their owners. Then, you can have your website link moved closer to the top of the page, for example, since this will lead to many more visitors. Finally, what other similar sites can you find? Why? Because their webmasters may be inclined to link to your page as well! 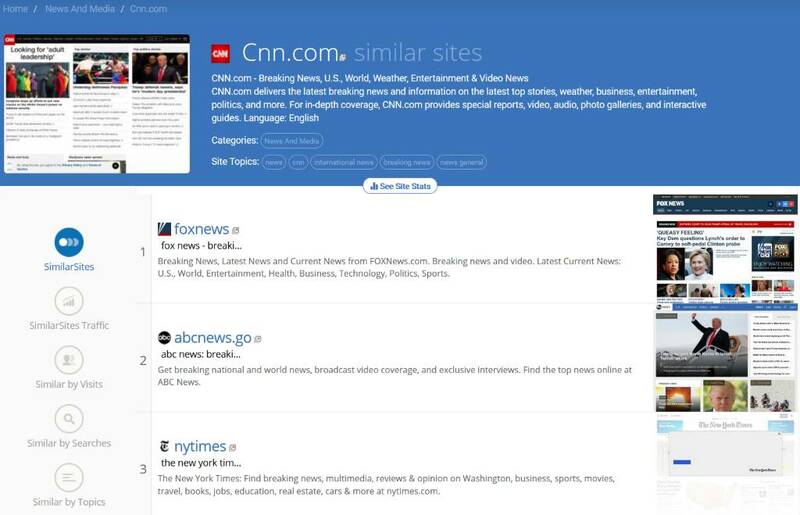 There are several sites such as http://www.similarsites.com/ or https://www.similarweb.com/ which can help you discover other opportunities, websites that are similar with the one that has already linked to your resources. 2. Time spent on site. It's one of the key factors that you should take into account, now that user experience finally plays a crucial role when it comes to search rankings algorithms. Fortunately, it's easy to determine time spent on your site using Google Analytics. 3. Bounce rate. This factor measures the ratio set by the number of visitors who return to the search engine results right away, after seeing a single page, versus the total number of website visitors. It's difficult to fix high bounce rates, because often times people will only want to read the specific article that has gotten the link on the referring site. Or maybe they are disappointed by the quality of your content, and leave the website within seconds! There are a few things that you can do to fix high bounce rate problems, though. Begin by making sure that your website loads fast. Really fast! This way, more people will wait until the page is fully loaded, rather than move away because your site needs five seconds (or more) to load. Then, invest your money into a few copywriting books. I like this one, for example. Learn how to hook your website visitors and keep them on the site, and then instill in them the desire to read more of your content. When it comes to website traffic, quality definitely trumps quantity. This article has showed a few way easy ways of boosting and optimizing referral website traffic.